My 11 week old GSD is constantly whining. What am I doing wrong? My 11 week old GSD Cullen is always whining. He whines in new situations which i would expect. But he whines when we are in the car which he has done that dozens of times. He whines when he sees me when he is hungry, when has to go out....etc. He also constantly wants me to pick him up, and is always under my feet. I do not mind the under my feet thing as much because he always is with me and if he does wonder off he comes right back. I want to make him more confident. I have stopped picking him up except when he can not climb into the car. Did I do the right thing? How do I make him more confident? He seems fine when I am not around... when he is with our 7mnth old Great Pyrenees. Help! This is pretty normal in many puppies but all your German Shepherd puppy needs, well, a big part of it, is more socialization. You need to get your puppy out and around more people, animals and in lots more different safe physical situations (stores, parks, houses, you name it, on pavement, bricks, grass, tile, hardwood floors, stairs, ramps, etc., etc.) to help build his confidence with new things. 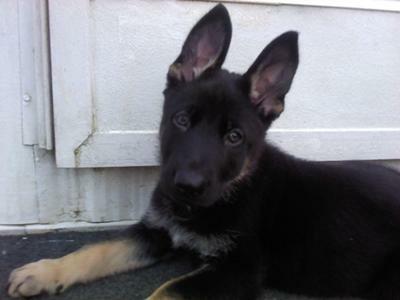 Remember, even if he's fairly large, an 11 week old GSD is still a very young baby and needs encouragement and guidance to help grow up into a more calm and confidant dog. He is fearful of new things and being alone and this is fairly common but needs to be overcome to become a happy adult. 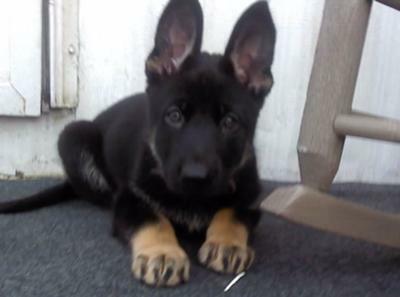 Socialize your GSD puppy - get him and you into a puppy training class (the best money you'll ever spend) - and you'll be well on your way to a happier, more confident German Shepherd dog. Good luck.